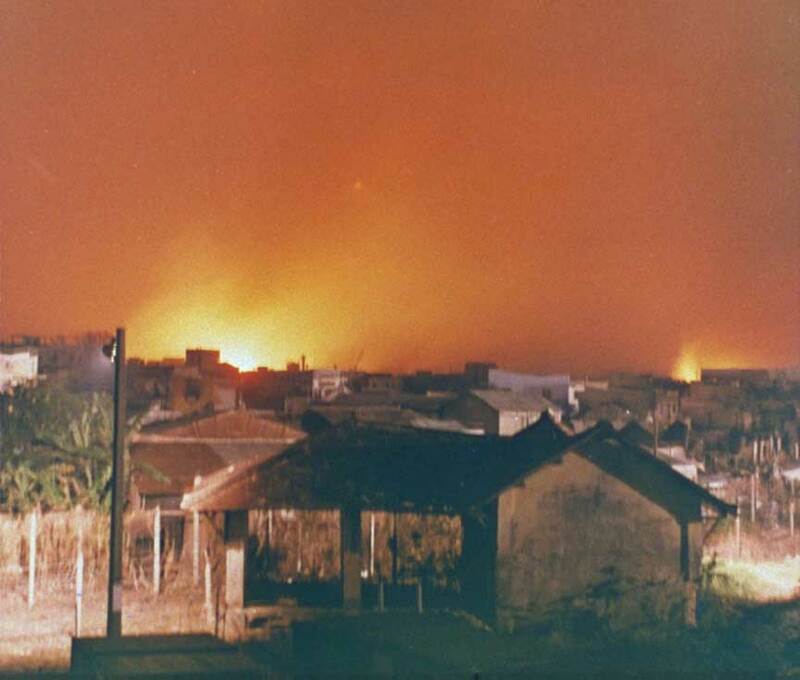 The Communists launch another offensive against South Vietnamese cities. In the course of the offensive, 5,270 Communists, 154 Americans and 326 South Vietnamese are killed. The Communist launched what became known as the Second Tet- offensive or the May offensive. It was a second attempt to capture targets in South Vietnamese cities especially Saigon. The forces attacked 119 different targets. No American installation were targeted. Most of the communist forces were intercepted before they could reach their targets. In Saigon, they seized eight Buddhist pagodas under the assumption which proved false that the US and South Vietnam would not use heavy weapons to remove them. As a result over 10,000 homes were destroyed and over 500 civilians were killed. The attack was a complete failure. However, May was overall the most deadlier month for American forces during the Vietnam War with the American forces losing 2,070 killed during the month.